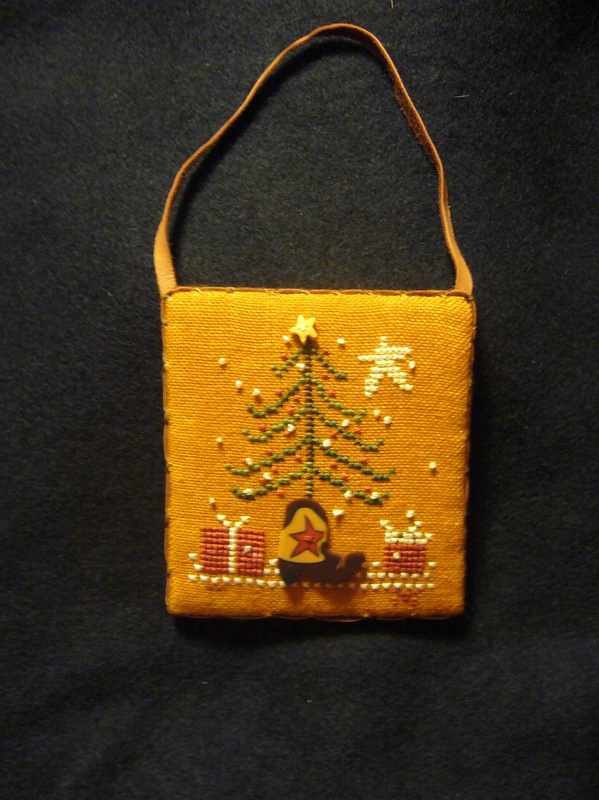 Sun City Stitcher: First Christmas Ornament of the Year! It is a birthday present for my husband which was yesterday. I was at the needlework shop in Cheyenne, Wyoming called EWE COUNT when I saw this cute ornament designed by Sam Sarah Design Studio especially for Ewe Count called Ewe Count Christmas in July Ornament (c) 2009. It was all kitted up with chart, backing fabric, stitching fabric, buttons and floss. The design calls for 30 count Tiger's Eye Linen WDW-L30-1225 using Weeks Dye Works (WDW) and Gentle Art floss. 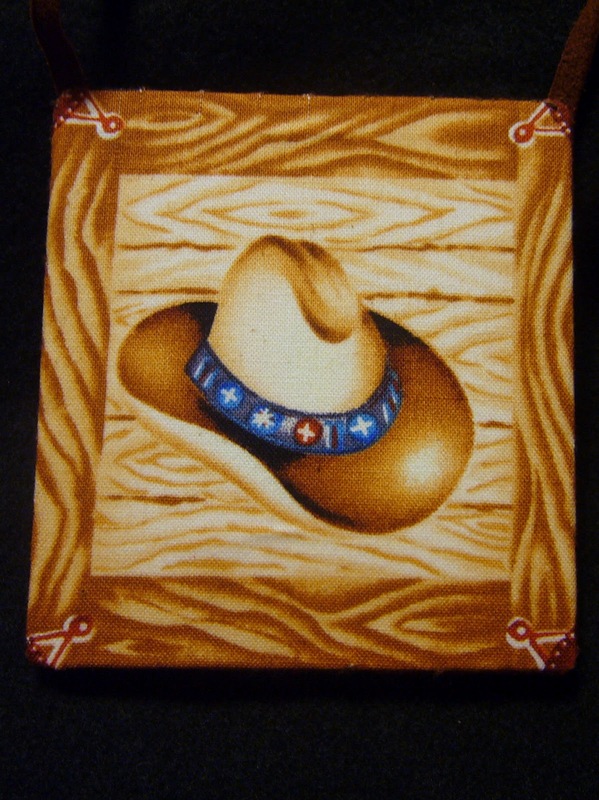 In keeping with the western theme, I used some thin leather found in the beading section at JoAnns that was a perfect color for the project and then I took some brown #8 perle cotton and stitched over it to give it a little oomph! Hubby was very pleased with his western Christmas ornament and we have it well in advance to put on the tree all season (once it gets here)! Very cute and I love how you finished it!!!!! Great finish! I love the detail on the side. It looks great - love the fabric on the back and the finishing - very clever! 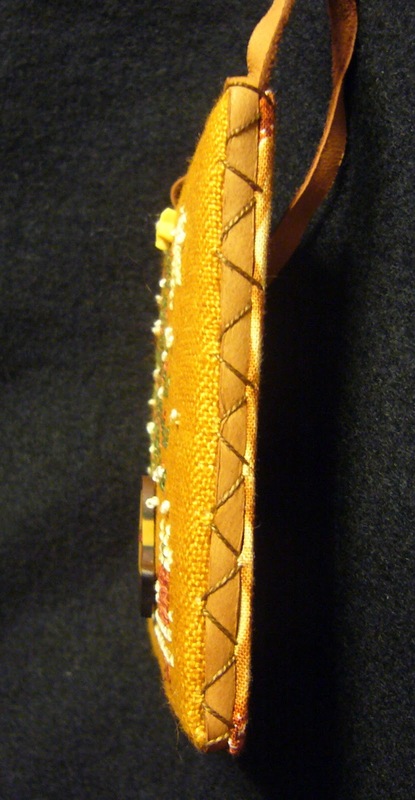 What a wonderful stitch and finish! Glad your hubby loved it! That is way cool! Love the western theme finish! It looks great. Ooh I like this! Aren't you clever.